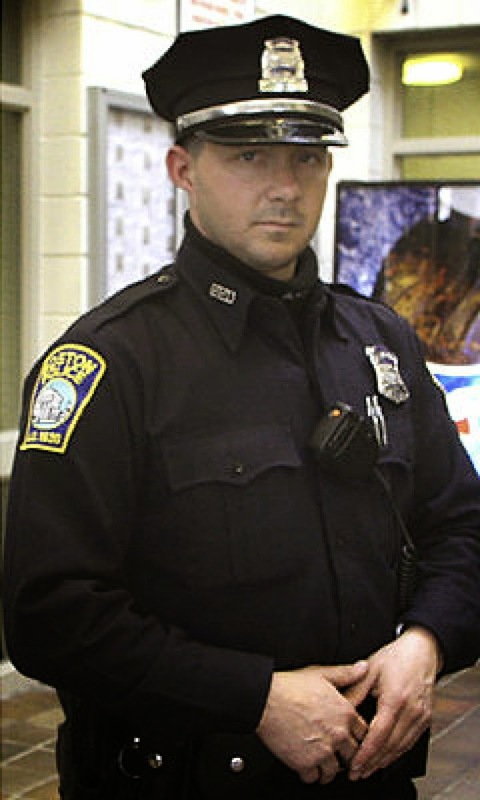 As if Boston Police Officer Justin Barrett could not embarrass himself (or his department) any more, he has filed suit against BPD, the police commissioner Ed Davis and Mayor Thomas Menino for what he has deemed a conspiracy to "intentionally inflict emotional distress and conspiring to intentionally interfere with the property rights, due process rights, and civil rights of the plaintiff." Barrett alleges in the complaint that the mayor and commissioner have caused Barrett "pain and suffering, mental anguish, emotional distress, posttraumatic stress, sleeplessness, indignities and embarrassment, degradation, injury to reputation, and restrictions on personal freedom." The only thing that the mayor and commissioner did in this case was point out that Barrett was clearly racist and that the Boston Police Department had no tolerance for his idiotic behavior. What Barrett does not seem to understand is that when you send a racist email to a newspaper, it can be published. When you are made a national laughingstock because your opinions come from antebellum attitudes towards blacks, that's on you, not the mayor or the commissioner or anyone else you want to blame to try to get sympathy. What happened to personal responsibility What happened to saying, "Wow, I messed up. I suppose I'll apologize and move on." Barrett seems to think that everyone is to blame but himself. He blames the mayor and commissioner for "injury to reputation." Seriously? Calling a black man a "jungle monkey" and telling a Globe columnist that she is a "hot little bird" and that she should be making him coffee on Sunday mornings while also saying that suspects have no rights is more telling than anything Menino or Davis can say or do. I love Barrett's quote on Larry King where he said that he treats everyone with dignity and respect. Well, everyone except "jungle monkeys" and suspects who, in Barrett's view, have no rights and "hot little birds" at the Globe who write columns with which he disagrees.